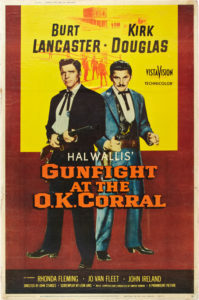 Over the weekend I had occasion to re-watch Gunfight at the O.K. Corral, the 1957 movie that I first saw at the Yucca Theater in Midland, Texas, when I was a kid. It was a wonderful movie that holds up well even today for pure entertainment. What I remember most about the showing that night was the little corral the management had constructed outside the theater from cedar posts and the striking theme song of the same name performed by Frankie Laine. It was an entertaining movie, though bad history. Little did I know then as I watched the film that I would one day write two novels about various characters in the movie. Of course, what western writer hasn’t written about Wyatt Earp, Doc Holliday and, to a lesser extent, Lottie Deno, who is called Laura Denbow in the movie? 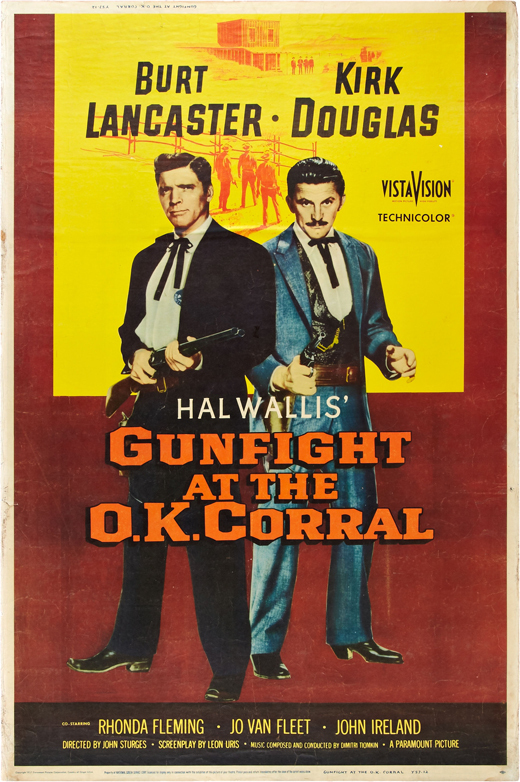 The movie begins in Fort Griffin, Texas, where Holliday and Earp supposedly first met, then moves to Dodge City before reaching Tombstone and the climactic gunfight of the Old West. Though the movie shootout fires away for over five minutes, the actual gunfight lasted but 30 seconds. Like I say, it was bad history, but even bad history takes time. The five minutes of exaggerated gunplay in the movie’s climatic showdown took four days to film. Even though the movie lacked factual fidelity in many instances, it was a major hit, earning $4.7 million in 1950s dollars and another $6 million in re-release. Kirk Douglas remains my second favorite Doc Holliday behind Val Kilmer’s in Tombstone. Burt Lancaster is an acceptable Wyatt Earp, even minus the mustache the real Wyatt Earp sported when his 30 seconds of gunplay earned him eternal fame. The female leads in the film were Rhonda Fleming as Laura Denbow and Jo Van Fleet as “Big Nose” Kate Fisher. Other actors in the movie included Earl Holliman, Dennis Hopper, Martin Milner, Lee Van Cleef and Jack Elam. The movie was nominated for two Oscars – Best Sound Recording and Best Film Editing – but came away empty-handed at the ceremony. I always thought the theme song should have been nominated, but it was overlooked. 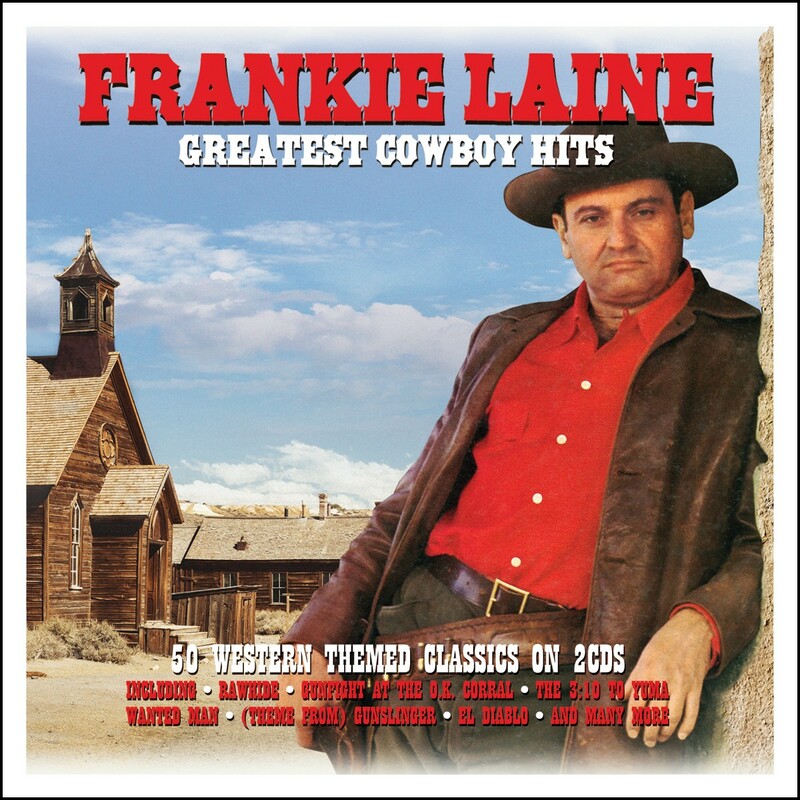 I got my chance decades later to show my appreciation for the movie’s theme song when I voted Frankie Laine’s rendition in my top five in the Western Writers of America survey of the Top 100 Western Songs. Gunfight at the O.K. Corral wound up in the middle of the listing at No. 50. I guess know more about history than music!